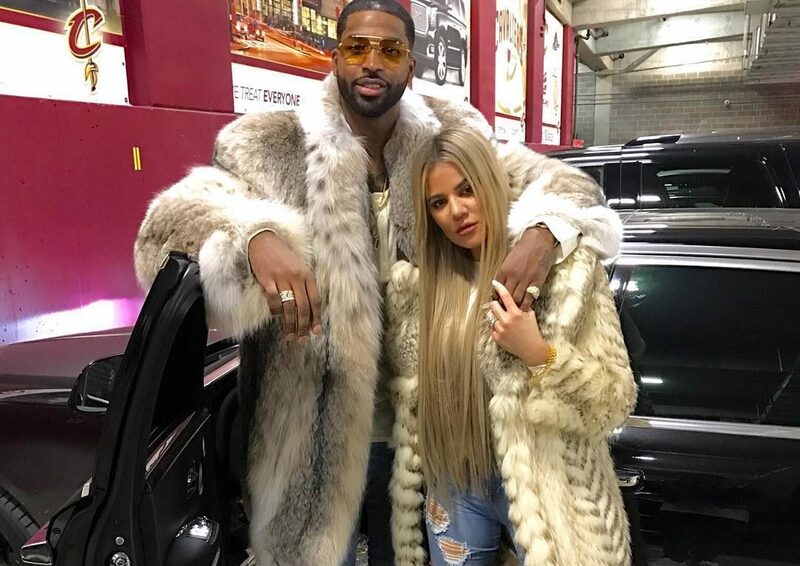 Even if you don’t pay attention to basketball, you probably know who Tristan Thompson is: The Cleveland Cavaliers player been dating Khloé Kardashian for the last two years, and he’s the father of her first child. He’s also currently at the center of a slew of cheating rumors (though we haven’t heard anything from either his or Khloé’s camps and don’t have any real idea what’s happening between them at this time — nor do we have a right to). But aside from the fact that he plays for the Cleveland Cavaliers and is connected to the Kardashians, many people don’t know that much about Tristan, and they have questions. One popular one: Does Tristan Thompson have kids? Before dating Khloé, Tristan was dating Jordan Craig, more commonly known as Jordy C. Jordy is a lifestyle blogger who runs an online clothing line and also has her own hair extension boutique. Before dating Tristan, Jordy also dated Tyga at some point. Jordy is also the father of Tristan’s first child, his one-year-old son Prince Oliver. Yup, Tristan is already a daddy — something you’d probably never know if you didn’t search for the answer. Tristan has never posted a photo with his son, he doesn’t mention him, and none of the Kardashians have mentioned him. Jordy doesn’t mention her son publicly that often, but has posted one far-away photo of him on his birthday and a few mentions of motherhood on her other Instagram photos and mommy section of her blog. Clearly, these two like to keep their son on the more private side. There is a little drama with Jordy, though. Prince was born in 2016, and the timeline of her pregnancy and Tristan’s relationship with Khloé has led many to speculate that Tristan left Jordy while she was pregnant to be with Khloé. Whether that’s true or not, we honestly don’t know. But people on Twitter aren’t happy about the fact that Tristan has been openly supportive of Khloé’s pregnancy, but doesn’t mention his first child. We don’t know the details behind the circumstances at all here, so we’re not going to make any assumptions. Let’s hope the drama ends here, before the newest little Kardashian baby is born.